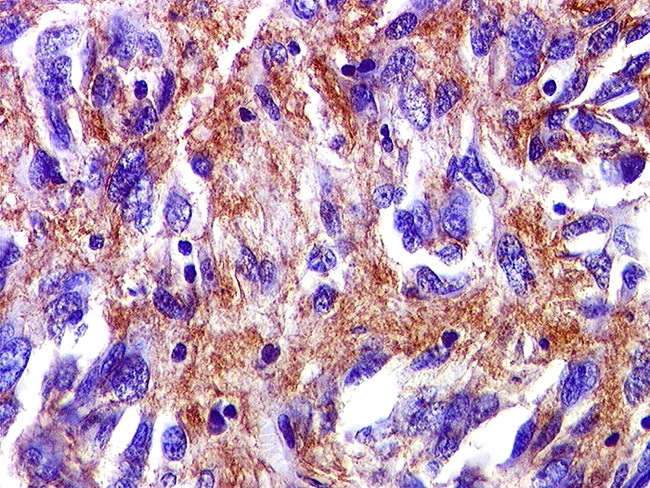 While CD34 was the first immunostain commonly used to confirm the diagnosis of GIST, CD117 (c-kit) is currently the most widely accepted and available marker. It is positive in the vast majority of tumors. However, positivity does not necessarily correlate with the presence of mutations in the CKIT gene. A more recently developed marker, DOG1 (Discovered On GIST 1) appears even more specific for GIST. SMA is occasionally positive, which is important to realize in cases where leiomyoma/leiomyosarcoma remains in the differential. Image Copyright: pathorama.ch.